Add a bit of seating space and storage to your home with this contemporary accent ottoman. 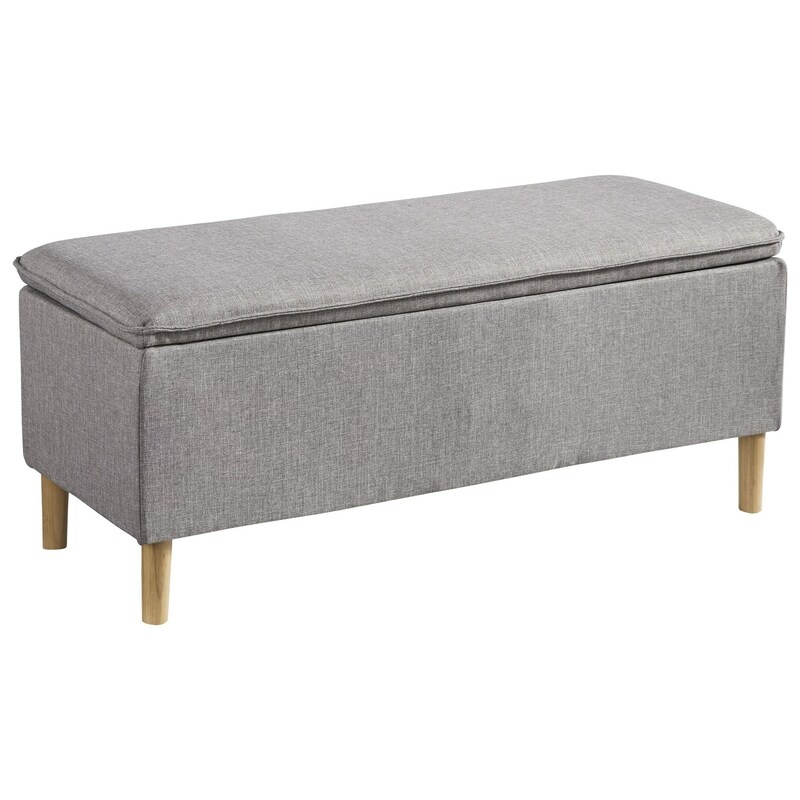 This ottoman features a neutral fabric that will match many types of decor. Use this piece as an accent bench when guests sit comfortably on the pillow-top cushion while you store blankets, games or other items you need close in the storage compartment. The Kaviton Contemporary Storage Ottoman by Signature Design by Ashley at Value City Furniture in the New Jersey, NJ, Staten Island, Hoboken area. Product availability may vary. Contact us for the most current availability on this product.